What is Stylage Special Lips with Lidocaine? Stylage Special Lips Lidocaine is an innovative lip filler exclusively designed by Vivacy Laboratories for lip correction. This filler is highly praised for its up-to-date formula and long-lasting results. It is comprised of fully biocompatible hyaluronic acid, mannitol, and lidocaine. Hyaluronic acid: with a concentration of 18.5mg/ml, hyaluronic acid helps to plump up thin lips. Mannitol: incorporation of the antioxidant mannitol makes the injection process smoother and delivers natural-looking results. Lidocaine: 0.3% lidocaine makes the injection process more comfortable and almost pain-free. 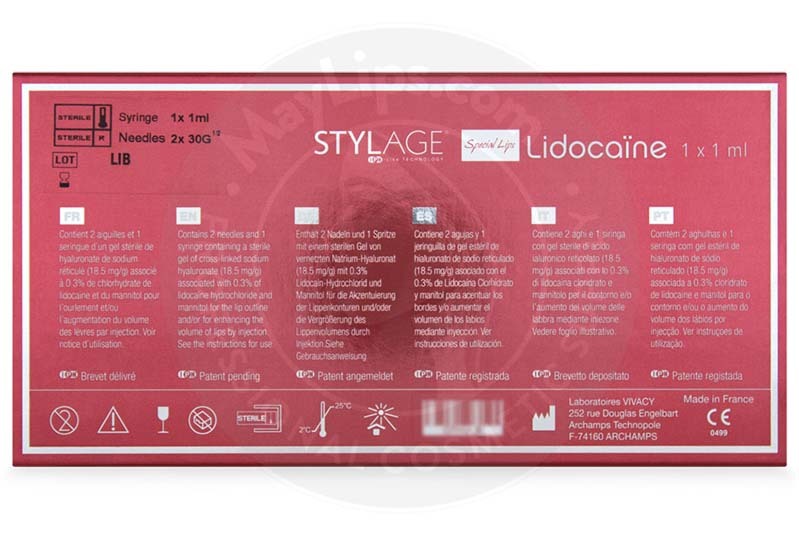 A single box of Stylage Special Lips Lidocaine comes with a 1ml prefilled syringe, two single-use 30G ½” sterile needles, traceability labels, as well as the product information leaflet. Store this sterilized package in a cool and dry room (2 – 25°C). 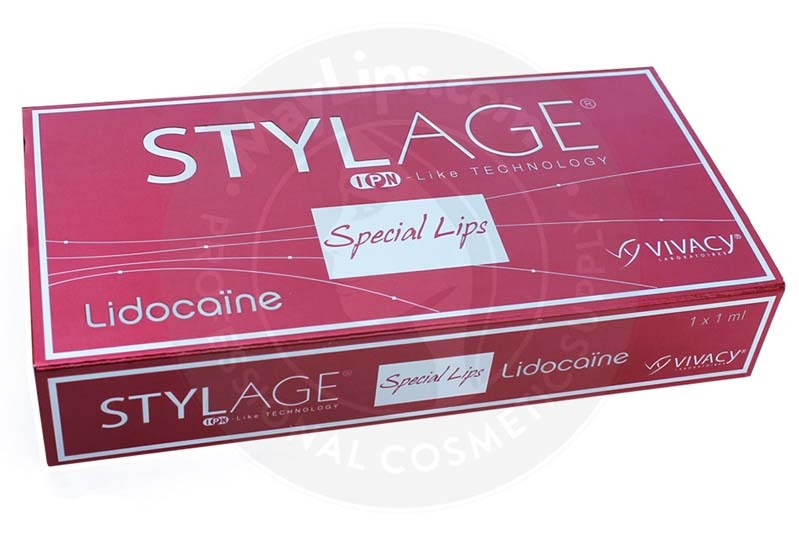 Stylage Special Lips Lidocaine is designed and certified for lip volume augmentation, lip contour definition and for correction of disproportionate upper/lower lip size and shape. Additionally, use to reduce perioral lines (fine wrinkles) around the lips. Hyaluronic acid is a naturally existing glycosaminoglycan (complex sugar) and is an essential constituent of the body. It is also one of the most popular components for injectable fillers, as it is well tolerated by the human body. Vivacy Laboratories, a French producer of skin fillers, incorporates curative skincare properties (mannitol) into its dermal filler line to revitalize the skin from within. Mannitol—an antioxidant commonly found in fruits—helps eliminate harmful toxins and impedes post-injection breakdown of hyaluronic acid gel. Results are instantaneous with minimal loss of the implant in the initial hours after injection. Besides that, Vivacy Laboratories is also renowned for creating the unique interpenetrated cross-linked network. This IPN-like technology helps maintain long-lasting results and allows the implant gel to fill in gaps underneath the skin, resulting in soft, plump lips. Only certified medical professionals well-versed in dermal filler injection techniques can safely treat patients using this product. Your patients should not take any blood-thinning medications or supplements within a few days before the treatment session. Inject Stylage Special Lips Lidocaine via superficial to mid-dermis lip injections using the serial puncture technique or linear threading technique. Encourage your patients to gently massage and apply cold compress to reduce post-injection swelling and pain. Your patients should also avoid makeup and extreme temperatures (e.g. sunlight, sauna, and cold rooms) for the first few days after injection to promote quick healing. Avoid using this filler on skin that is inflamed or infected, such as herpes breakouts or acne. As well, if your patients has recently undergone other dermal procedures, like chemical peels, wait until the skin has healed. All Stylage fillers from Vivacy Laboratories are praised for the effective long-lasting results. Stylage Special Lips Lidocaine can last from 6 to 9 months. But, the duration may vary. Yes, this is a very safe aesthetic solution for those seeking to add volume to their lips. Designed exclusively for lip correction, Stylage Special Lips Lidocaine has gone through numerous tests and certifications. In fact, only high-grade hyaluronic obtained via biofermentation is used. Furthermore, since hyaluronic acid is easily biodegradable in the body, it can be injected with very minimal risk of reaction. 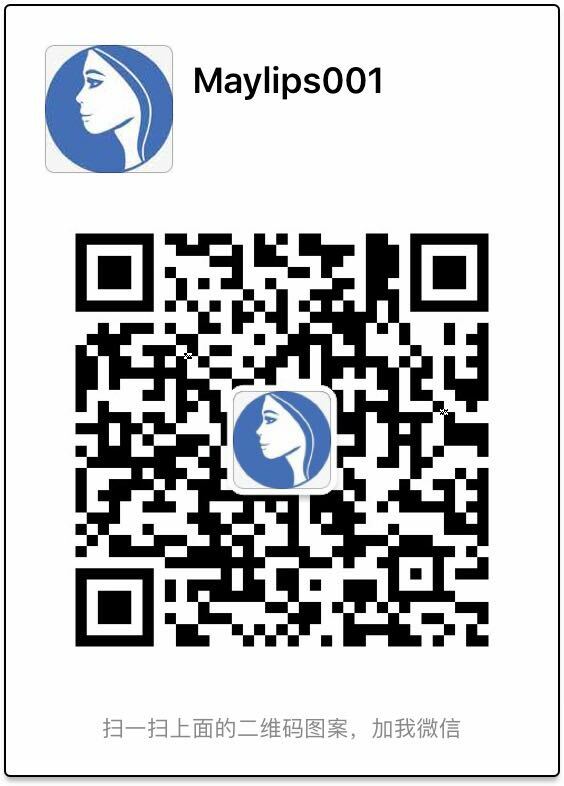 Nevertheless, this implant is contraindicated in some individuals, including pregnant or breastfeeding women, or individuals with a hypersensitivity to any of the components (e.g. hyaluronic acid, lidocaine, mannitol). 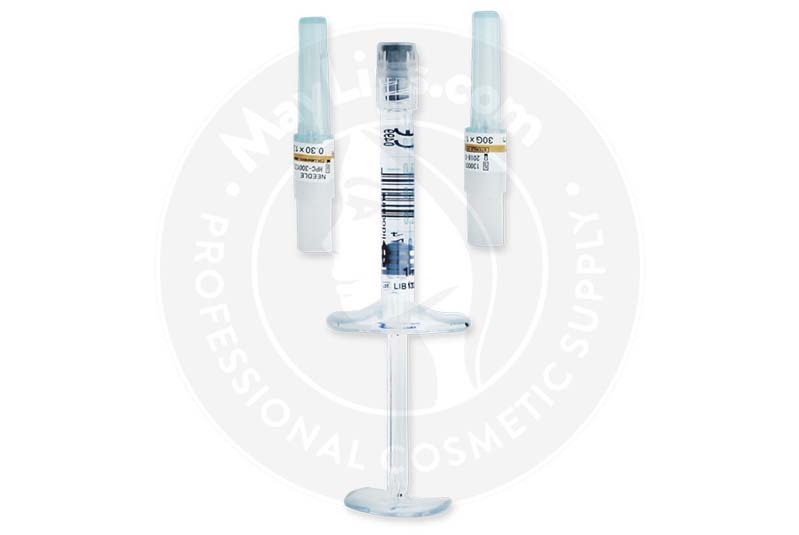 Stylage Special Lips Lidocaine is a safe lip filler, which boasts a low percentage of possible side effects. Many of the common aftereffects observed are actually injection-related inflammatory reactions. These side effects are mild and are usually resolved within 24 hours. However, these effects may only happen when standard injection precautions are not followed diligently. Inform your patients to seek emergency care if any of the adverse effects worsen or last longer than a few days after treatment. 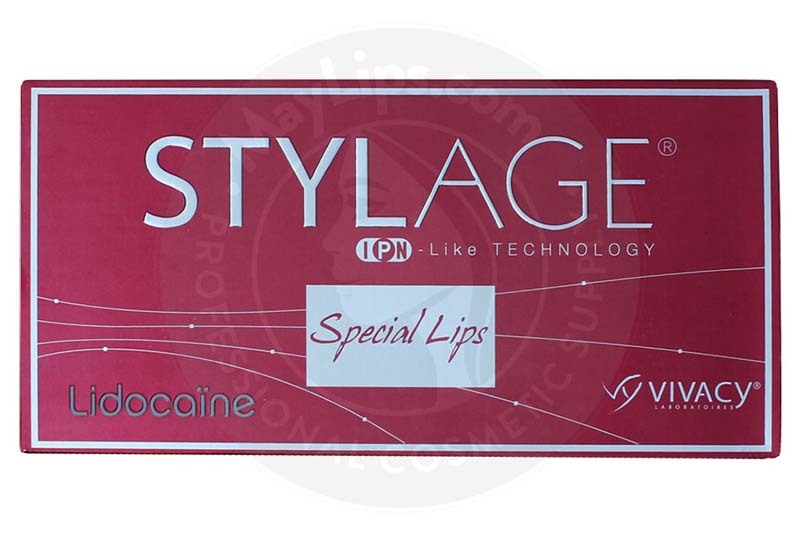 Stylage Special Lips Lidocaine is made of non-animal, cross-linked hyaluronic acid. The hyaluronic acid molecules are cross-linked to increase the duration of the results. The resulting gel is enhanced with mannitol and lidocaine, which makes injection process more comfortable with minimal reactions. Ingredients: Sodium Hyaluronate (18.5mg/g), Phosphate buffer pH 7.2 and mannitol, 0.3% Lidocaine hydrochloride. Also Included: Contains 2x 30G 1/2 needles and a package insert. A set of labels to ensure traceability.